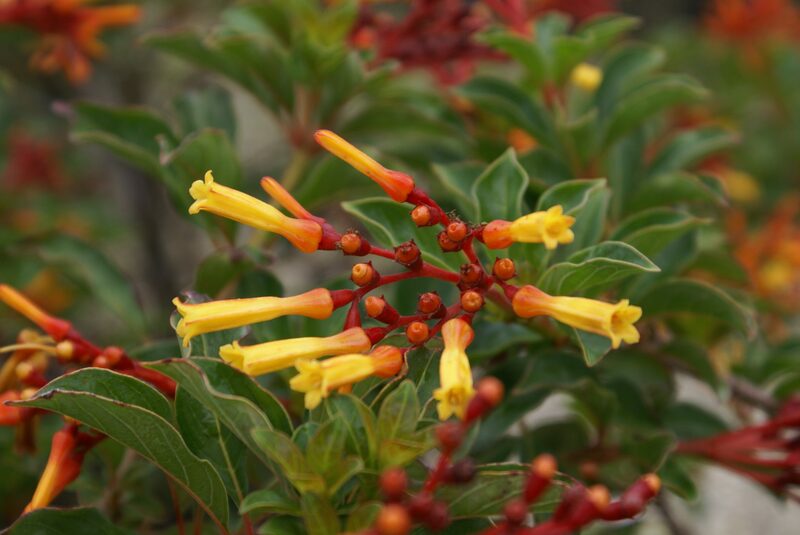 Fire Bush, blossom (Hamelia patens var. patens) - Michael A. Gilkey, Inc. This striking native features clusters of tiny yellow-to-red trumpet shaped flowers which attract all kinds of pollinators.